Even though it was rainy and cold, I was able celebrate spring at the Milwaukee Art Museum today. My daughter’s sorority had a Mom’s day Event exploring the Art in Bloom Exhibit. I have been to many art museums and gardens, but this exhibit was simply amazing. We received a pamphlet with a list of the 45 artwork-inspired floral arrangements throughout the museum. As we began to look, I did not realize the connection these floral designs had to the corresponding paintings until my daughter pointed it out. From that moment on, I was captivated. 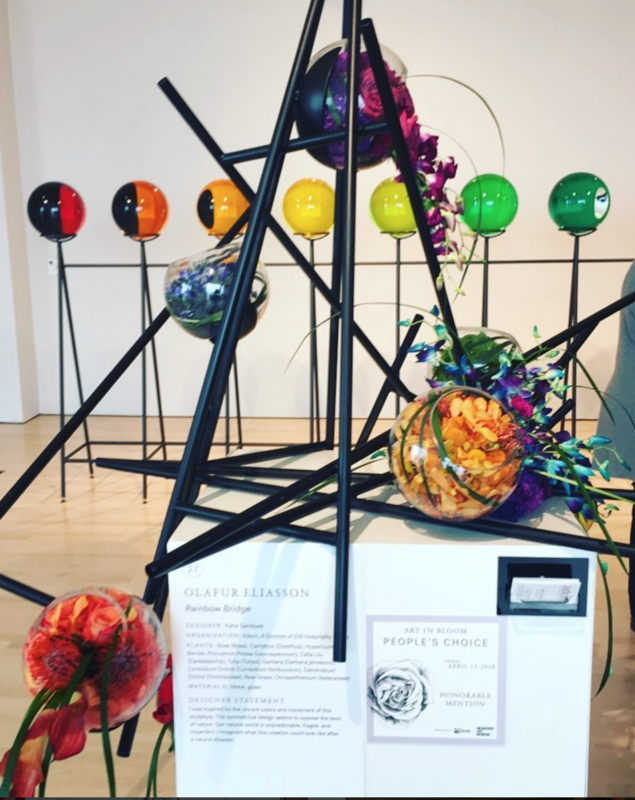 Each item had the name of the artist and the piece that inspired them as well as the floral designers name, materials and plants used and a statement by the designer about the arrangement. Even though we had been to this Art Museum before, my daughter remarked that this exhibit made her look closer at each painting, and I would agree. The creativity these floral designers used to connect with the various artwork was incredible to see. 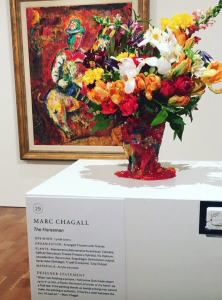 The statement by the museum described the floral designers task as being able to “Interpret the museums masterpieces with their own creative style.” What an imaginative manner to view familiar art in a new way!